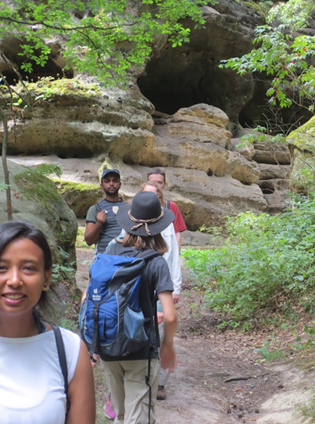 Megha Shrestha, a native of Nepal and student in the Department of Geosciences, spent her summer on a three-month internship in Freiberg, Germany. 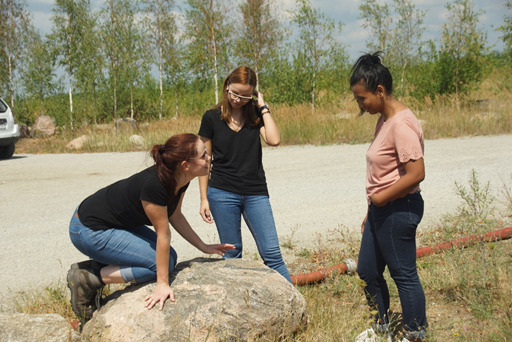 As one of the 25 Research Internships in Science and Engineering (RISE) professional alumni for 2018, she worked for a mining company, and analyzed and scripted geospatial works. This opportunity was provided by the German Academic Exchange Service or DAAD. “From work to travel to food to meeting new people, there was a new memory every single day,” explains Shrestha. In addition to her position in Germany over the summer, she also traveled to historical cities throughout Europe including Leipzig, Chemnitz, Heidelberg, Munster, Frankfurt, Prague, Budapest and Amsterdam. Megha Shrestha in Germany during a summer internship. Megha Shrestha working with others.